Studio #1062: Highly recommend this property. Great views. And nice room for the price. Would come back again. Brand new unit to our rental program! This Premium ocean view one-bedroom, one-bath condo located in Tower 2 on the 9th Floor, is beautifully remodeled throughout. Enjoy a gourmet kitchen that is fully appointed with elegant granite counters, spacious and comfortable living area with dining area for a family of four, comfy sofa converts to a Queen sleeper, and a luxurious King bed in the master bedroom with remodeled bathroom. Enjoy the spacious lanai with comfy patio furniture overlooking the manicured grounds below and an absolutely incredible ocean view. You will be within walking distance to world-class shopping and restaurants located at Whaler's Village right next door. 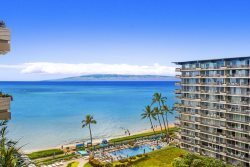 Located on Kaanapali Beach, you're steps away from great snorkeling, surfing, stand-up paddle boarding, swimming and taking pictures of Hawaii's giant green sea turtles. This condo is perfect for honeymoons, anniversaries and family vacations. Come enjoy this very special gem at Maui's favorite ocean front resort! 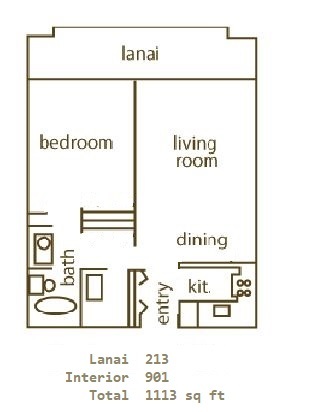 All units feature full kitchens, full baths, central air conditioning, free wi-fi and a large private lanai (balcony). Our rentals are normally 7 night stays. However shorter stays may be available. We will do our best to accommodate you. We have many comparable condos should this one not be available. You have the assurance of having an on island manager with over 30 years of experience to make sure you have the very best vacation experience. Effective April 1, 2019: The Whaler Homeowners Association will increase their Resort Fee to $25/Day, payable at the front desk upon arrival. Paper towels, garbage bags, dish detergent, dishwasher detergent, new kitchen sponge with scrubber; several rolls of toilet tissue, kleenex, hotel-size bar soap, shampoo, and lotion. Please note that the starter kit items are not replenished. * Rates are subject to change without notice. Pricing excludes taxes, additional options and fees.